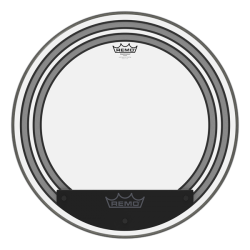 The Remo Powerstroke Pro Clear bass drumhead gives a projecting attack, a boosted low-end, and excellent overtone control. 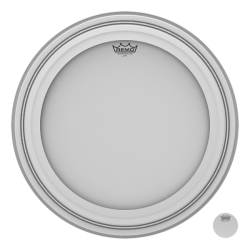 The Remo Powerstroke Pro Clear is made with a single ply of 10mil clear film, plus a permanently mounted acoustic foam control ring on the outside of the head. 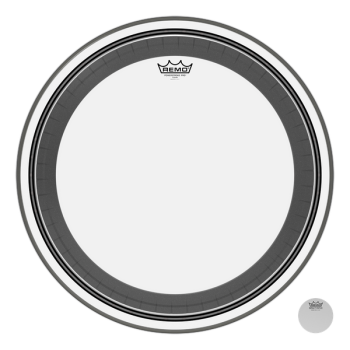 The acoustic foam has a felt backing and is pushed into the drumhead to increase its effectiveness. 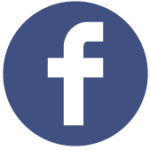 The foam eliminates high pitch overtones, and gives a focused mid and low frequency sustain. 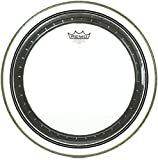 This drumhead is easier to tune when compared with more open heads, thanks to the big reduction in overtones. The clear version of the Powerstroke Pro gives extra attack, creating a brighter punch that cuts through even in loud environments. 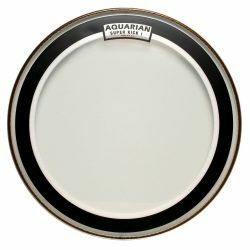 The sustain is short and deep, making this a good option if you want a quick and punchy bass drum. 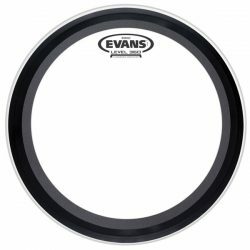 The sound of the clear Powerstroke Pro is great for fast double-kick playing, allowing each bass drum stroke to stand out. 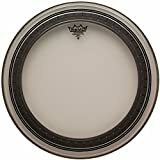 Compared to the coated Powerstroke Pro, the Powerstroke Pro Clear is brighter and more cutting, which means that this drumhead is well suited to live playing at moderate and louder volumes. In the studio, this drumhead will give you a focused brighter attack that will make your bass drum more noticeable in the mix. 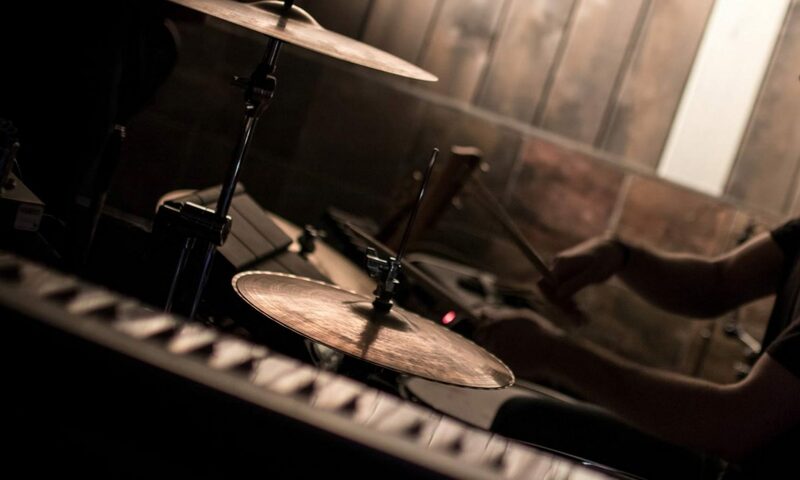 This is a good choice for drummers wanting to control ringing overtones and add some punch to their bass drum sound.